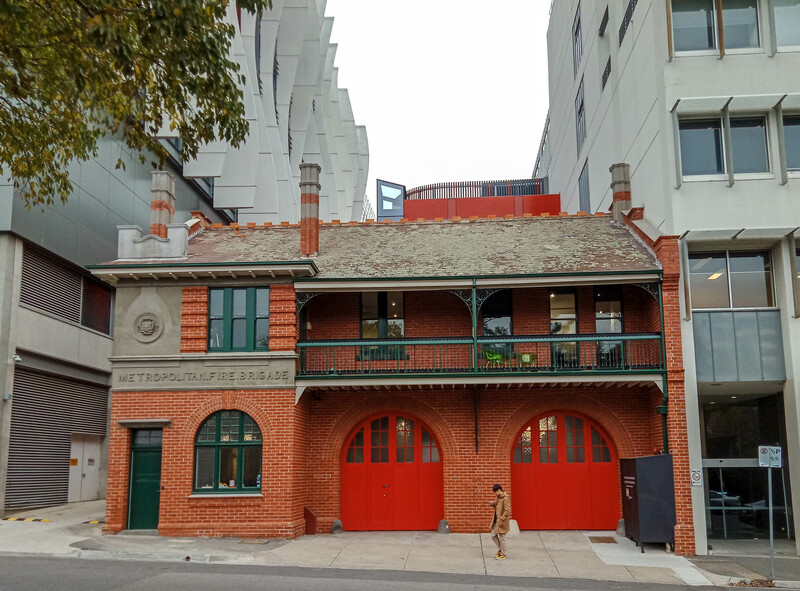 The Swinburne Innovation Hub comprises the refurbishment of the heritage listed two storey old Hawthorn fire station and the construction of a new four storey extension, overall area approximately 1,250m². The fire station is complemented by a metal batten/glass clad extension, which includes large glass sliding doors enclosing collaboration areas, a central staircase with glass roof and entry into the adjacent library building at Level 4. Work to the existing building was of a minimal nature to preserve the heritage feel and included retention of items such as timber fireplaces, cobblestone flooring to old stable area, firemen’s helmet rack and even a fold-up bed within a joinery unit in the front office. Wilde and Woollard provided Cost Planning and Post Contract Construction Cost Management Services.